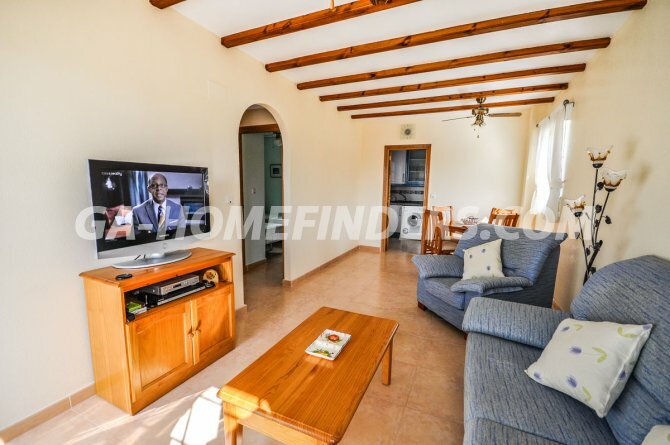 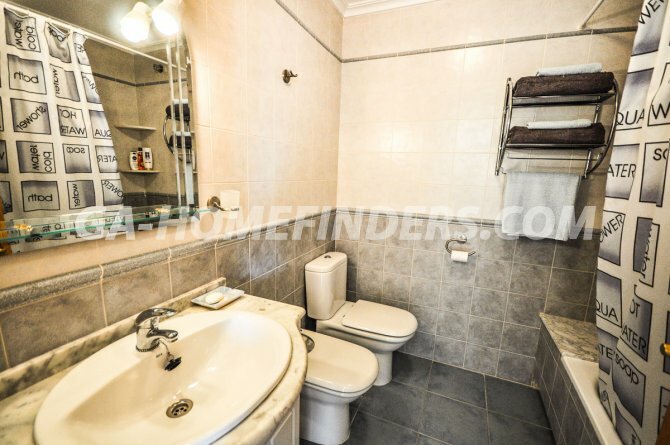 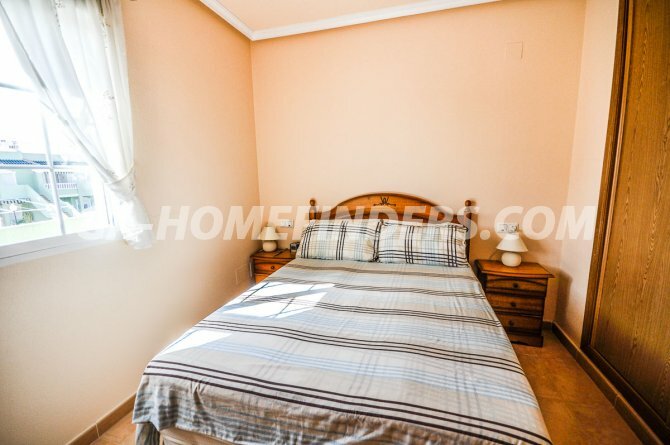 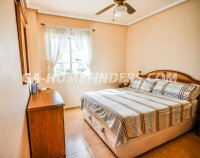 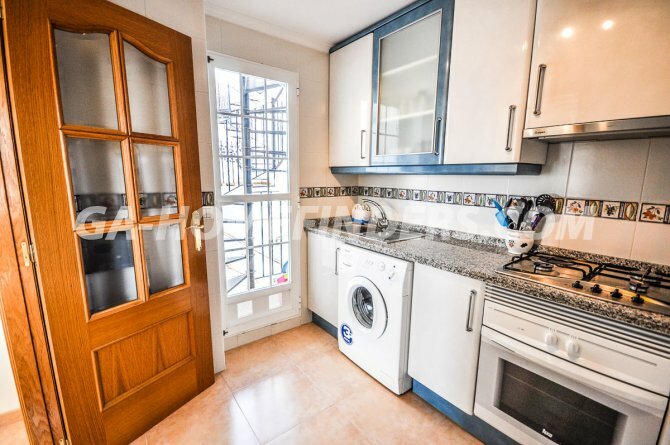 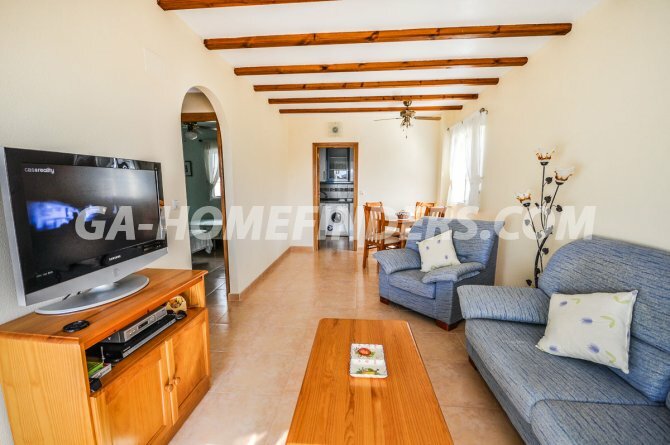 Corner apartment on the upper floor with 2 bedrooms and 1 bathroom, furnished, the kitchen is independent and with kitchen appliances, the main bedroom has a fitted wardrobe, there are ceiling fans throughout the apartment. 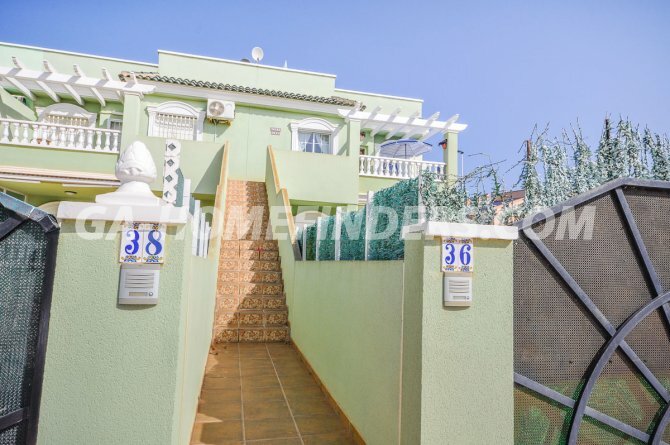 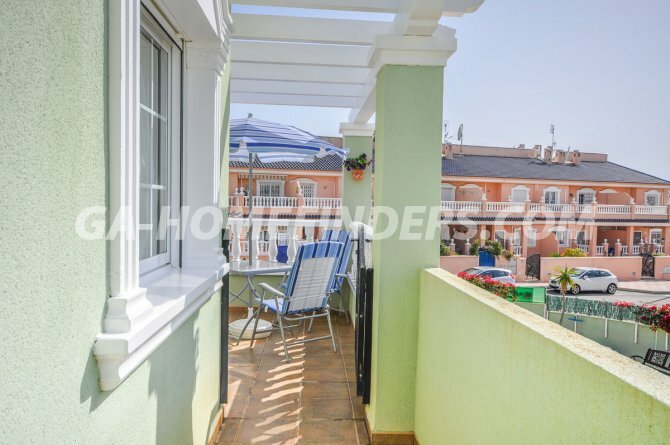 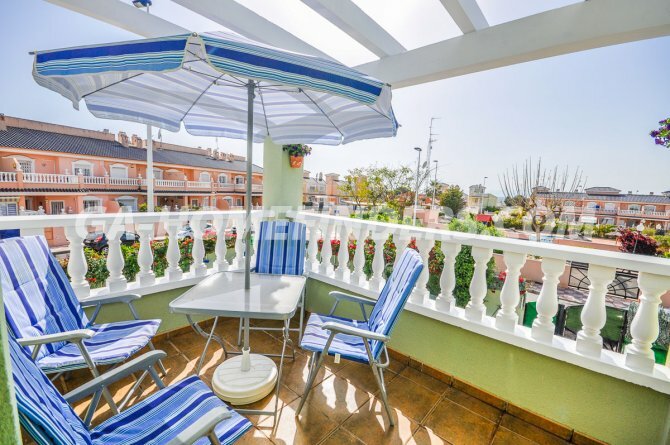 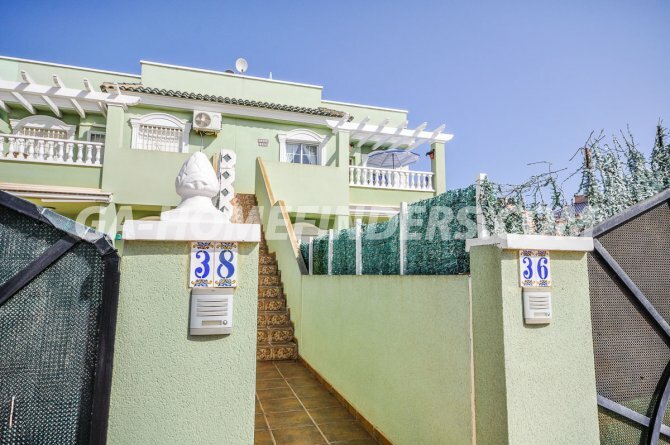 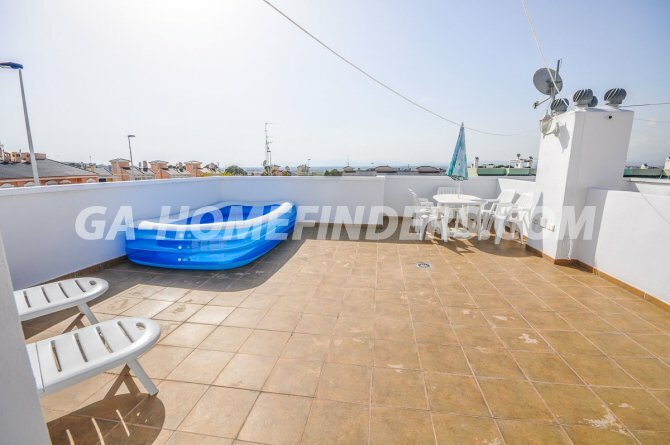 It has a balcony, has a large solarium with wonderful views, it has a private parking space, it is located in a very nice and quiet urbanisation with two community pools. 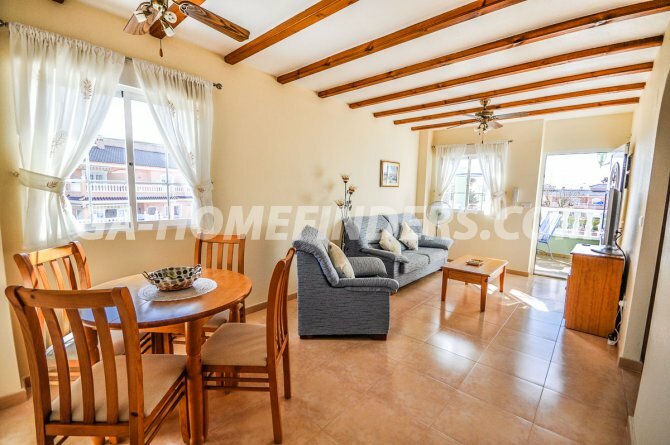 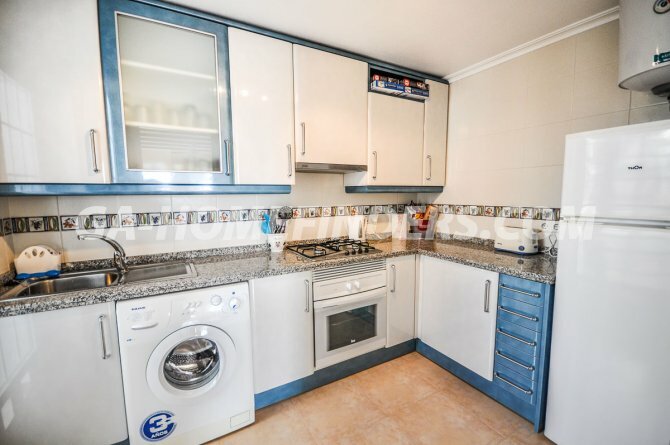 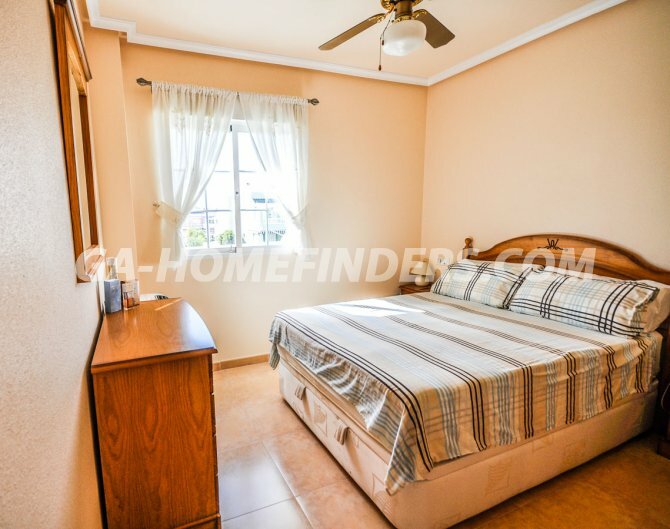 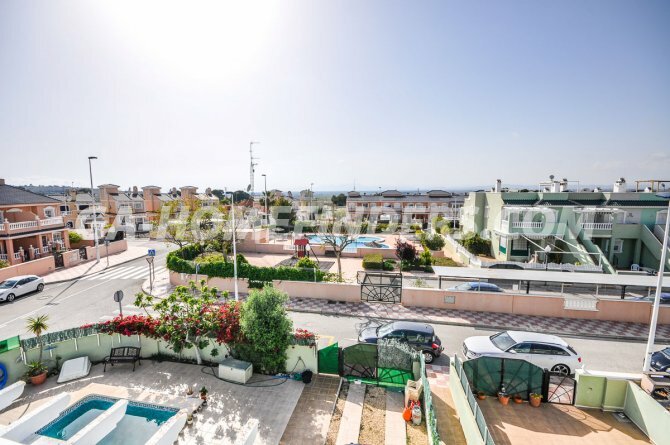 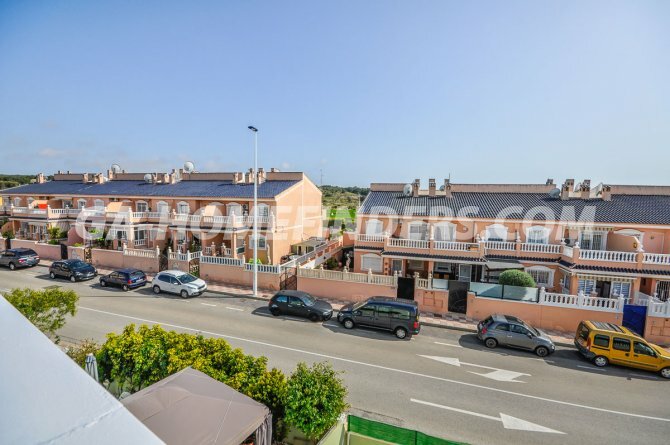 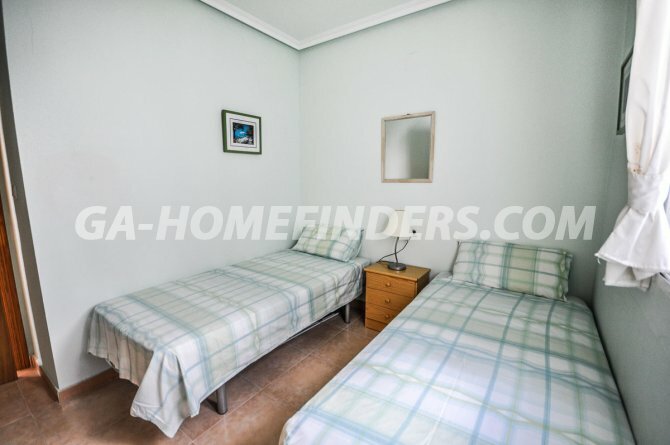 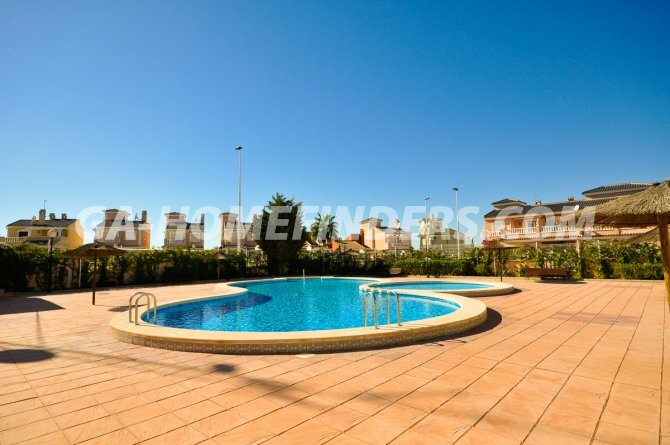 It is in the lower part of the Gran Alacant conveniently located near to the supermarkets, banks, shops, bars, restaurants, petrol station, public transport .... 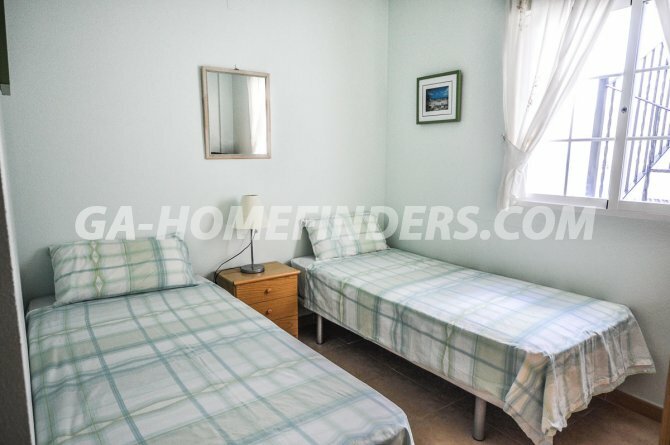 It is less than 5 minutes by car from Carabassi beach, and less than 5 km from the airport of Alicante.